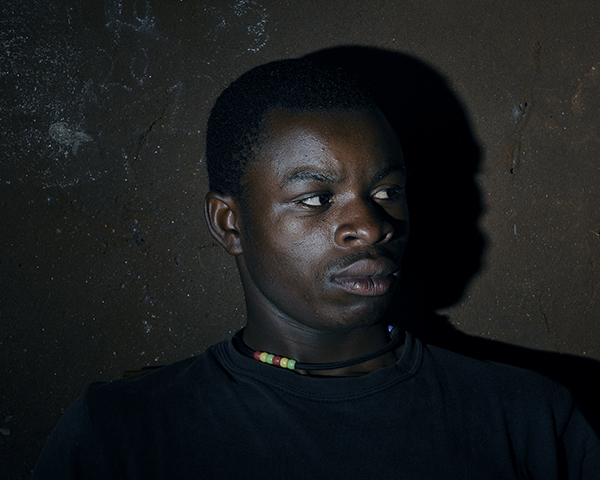 © Eberhard Riedel, "Dark Shadow - Eastern Congo, 2011." This man is one of many angry, former child-soldiers overwhelmed by the dark shadow of their past. He was a member of the the Mayi-Mayi militia in Eastern Congo; it was initially organized to help defend the local population of Eastern Congo against Rwandan insurgents, but became a lawless militia and is now feared as one of several rebel groups destabilizing Eastern Congo.